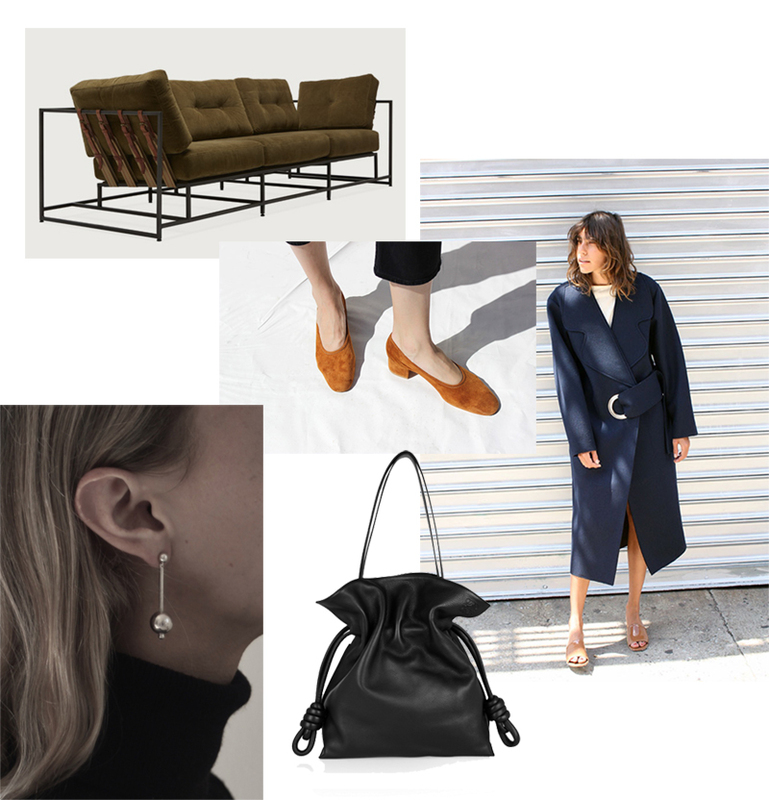 This entry was posted in Shopping and tagged jacquemus, maryam nassir zadeh, sophie buhai, stephen kenn by Carolina Engman. Bookmark the permalink. The ballerinas and that bag: wow, really so cool and stylish pieces! obsessed with that Loewe bag! Love the earring and the bag! So simple yet refined. Gorgeous. Woooow I love the supersized coat! COS has a reasonably close approximation of those ballerinas, in light-gray suede… I also missed out on MNZ version, so thinking about trying COS. Much easier on the wallet too. I adore the beautiful and very simply earrings by Sophie Buhai. Simply gorgeous! Beautiful earrings. What a gorgeous statement they make. The sofa sure does look luxurious and very comfortable! Cute black bag too, love it! I love these picks. That bag is gorgeous. That couch is BEAUTIFUL. I’ve been soo into interiors lately and a couch like that is such a gorgeous statement piece. All of these picks are so nice! I’m obsessed with that coat! In love with that sofa! Love this selection! Just love the minimalistic style that doesn’t go out of style! the earrings are gorgeous! a real eye catcher! The earrings…I’m officially in love with them! What a great list of fall favorites! Thanks for sharing! I wanna have all of these stuff to, but absolutely I need this sofa the most!!!! Those Sophie Buhai earrings are to die for! They are definitely going on my shopping wishlist. I really like the coat to. It looks cozy and comfortable, but still fashionable. Perfect for walking around in the city! Beautiful selection! I love the shoes! I LOVE that ballerinas. There are similair one at COS.